The Probably Complete Guide to Not F*cking Up Stumble Upon – I’m not using Stumble Upon, but after reading this, I feel like I should be. Are you using Stumble Upon? Do you like it? Should I try it out? When the Winds Die Down – Acclaimed Southern author and Tuscaloosa resident, Rick Bragg, shares his experiences of the aftermath of the April 27th tornado. Bragg’s house, and all of his neighbors, suffered severe damage, but fortunately, none were injured. This is a story of Southern compassion and healing. Get your tissues ready. 33 Ways to Stay Creative – I thought this was really cool. I’m going to use some of these the next time I need a brain boost. 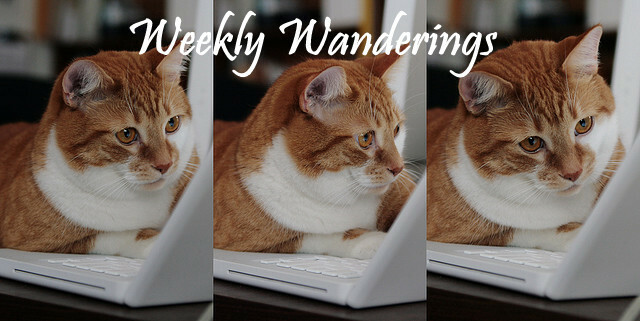 Have you found anything interesting online this week? And for more of what I’m finding online, follow me on Twitter, Facebook, and Pinterest! I saved the sopapilla cheesecake too! It looks so good.